How are you? In most of the U.S., this question is often answered with a “good” or “fine”. 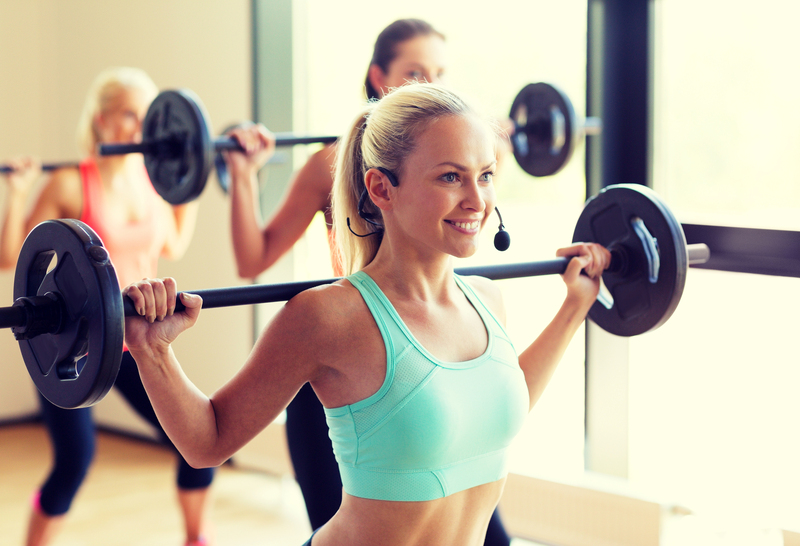 But in many group fitness (Group X) studios scattered across the country, the appropriate response to that question is a variation of the phrase “woo”. I’m here to not only give you permission, but to encourage you, to break-up with the woo in your next Group X class. Why? Because there are other questions or call to actions that will elicit the response you want. Ultimately, when you ask a question expecting the woo response, you’re asking Group X class participants if they’re okay and if they’re following along. With the woo, most folks do not respond. If they do respond, it’s typically not in unison, which takes away from the momentum of the class. And to the chagrin of instructors everywhere still wearing leotards, leg warmers and hair scrunchies, the woo is wasted air — it doesn’t provide you with any useful information about your participants. Now, before I go any further, some of us are meant to be woo girls. When the instructor asks how everyone’s doing, the whole room responds in perfect unison as if they were extras in a Disney movie. If that’s your style and you like it, then own it! As long as it feels authentic, you can ask your Group X class whatever question feels right, in the moment. But, if you’re still trying to find or evolve your group exercise teaching style, here’s a look at a few ways to check in with participants without demanding the woo. Rather than asking your class to say something, you can ask your class to give a thumbs up or nod their head. For some, this will feel less invasive or embarrassing. When you’re in the back of the class and don’t want any attention on you, it can feel unnerving to woo. Instead, after you finish providing instruction or just finished a really challenging drill, ask your participants to give you a thumbs up. It can sound like this, “Give me a thumbs up if you understand and you’re ready to own this next interval,” or, “If you feel like you’ve finished your recovery and are ready for the next sprint, give me a thumbs up.” That way, you get the desired feedback from your class and your members still feel comfortable. If/then statements are great, because they don’t require a lot of thinking. All your participants need to do is listen to what you’re saying and then respond. Then, you get what you wanted out of it, which is feedback that they’re still following and/or are ready to go. One option for checking in on participants is simply to scan the room. Once you’ve taught a class for a few weeks, you’ll start to get familiar with the participants. Their body language will tell you everything you need to know — how hard they’re working, do they understand, etc. If you’re getting blank stares when you explain a new drill, don’t be alarmed. That could be how your participants look first thing in the morning or after a long day at work. More than likely, they’re following along just fine and will do a great job on your exercises. Have confident in your lesson plan and teaching abilities — allow participants to enjoy the class without feeling the need to give you feedback throughout. If you still want feedback, you can ask for it after class when everyone’s putting equipment away and packing up. Ultimately, how you decide to ask for feedback and check in with your class is up to you. Take a chance and try something new in your class next time. Once you find a strategy that feels authentic, your classes will benefit. For more suggestions on how to communicate with your Group X class, check out the fitness motivation and cueing page. When the energy is high in your group fitness (or Group X) class, the last thing you want to do is slow things down to explain the next activity. If members stand around for too long, you’ll risk losing momentum as their effort and attention start to decline. Instead, you’ll want to find a balance between providing ample Group X instruction and getting the fitness class moving. Here are a few cueing and fitness tips to strike the right balance. Share basic cues first, start the exercise and feed in more cues as they work. Most participants have a basic understanding of standard movements, like lunges, squats, bicep curls, etc. For exercises like these, get the class started with a short sentence, like, “grab your dumbbells, because we’re going to do alternate forward lunges”. Once you have the class doing the exercise, then you can provide additional form and safety cues. I’ve found it’s easier to cue form once the class has started, because then you can share tips based on what they’re actually doing (e.g. if members’ lunges are too narrow). The same technique can be used in a progression exercise. Start the group doing a simple exercise first, continue to cue, then add on progressions once the class has mastered it. For example, you can cue, “grab your dumbbells, because we’re going to do alternate forward lunges and then add on”. The class can quickly start their lunges and then you can cue changes, like going faster, slower, or holding the lunge. Also, you can easily transition to a compound exercise, adding bicep curls or upright rows while the class is still doing the lunge. While they’re still completing the last exercise, demonstrate the next one. Especially if you’re ending a sequence with an isometric exercise, you can have your class continue to hold it while you demonstrate the next move. That way, you can physically demonstrate the exercise and verbally explain it, so participants can seamlessly transition to the next move. For example, while your class is in an isometric squat, you can reveal the next exercise at the front of the group fitness room. From there, participants can go right into the next move. You will have participants that break when you break, but that’s okay. Some people are kinetic learners, and only learn by trying the exercise with you. But, other folks will appreciate that they’re not standing around while you explain what’s coming. Introduce a series of exercises at the beginning and then do each one back-to-back. If you’re planning to do a few different exercises in a series, you can demonstrate all of them first and then the group fitness class can do one right after the other when you say “go”. This works great during times when members naturally need a break, like after an interval or another series has ended. Folks will appreciate the rest in between series. There are some exercises that are complicated to explain. Sometimes, it’s easier just to do the move, find the pace you want and ask the class to jump in. That way, everyone is on beat (lookin’ at you, my rhythm teachers!) and everyone has an example to mirror. Use phrases your class will recognize. How many of your friends know what an abductor or adductor is? What’s the different between an upright and bent over row? There are certain phrases you’ll have to explain the first few times in class, but once members are familiar with it, you can quickly say the term and go right into the exercise. Be sure to go back and explain those phrases every once in a while as a refresher, especially when you have new participants. For example, I’ll pick a name for each ab exercise we do (i.e. crunches, scissor kicks, circle, etc.). After we go through the series once in a class, then we can do it a second time much faster. I can just call out a name and they can recall the move. If you feel like you’re spending too much time explaining exercises and the class is starting to get restless, start testing the group exercise ideas above in your fitness class. It feels great once you’re able to find a balance between instructions and execution. And I know your group fitness members will appreciate it most of all. For more tips and tricks, check out the fitness motivation and cueing page. As group fitness (or Group X) instructors, we’re always looking for new spin class ideas to keep members excited and motivated. While we all have our go-to playlists and workouts, members do appreciate when we add an exercise or two to mix it up. There are a few easy ways to spice up your spin class routines. You can add a “throwback” song to your playlist, especially a classic that has everyone singing along. You can also try a new exercise that’s not part of your typical toolkit. Here’s one of my 45-minute spin class routines and playlist that I like to call “triple threat”. You’ll notice I use tabata timer songs for the intervals, which makes it super easy to do 20/10 intervals without losing track of time. There are a lot of different song timers out there. If you decide to give a song timer a try, take some time to listen to the preview before purchasing to make sure the countdown style works for you. For more tips, check out the workout routines and playlists page. 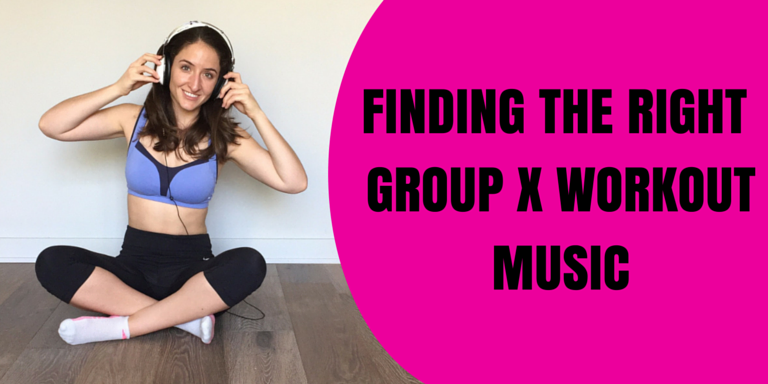 Workout music is an instrumental part of a group exercise (Group X) class — pun intended! If a group fitness class was a cake, the music would be the frosting. It’s not the most important element of a class, but it can be someone’s favorite part of the whole experience. When picking out your songs, there are a few things you’ll want to keep in mind in order to create a playlist everyone loves. Here are three important factors to choosing the right songs for your group exercise class. The same playlist won’t work for your 5 a.m. Monday class, 10 a.m. Saturday class and 6 p.m. Thursday class. For example, weekday early morning (say, 6 a.m.) classes tend to be retired or working professionals. And most of them (yourself included) probably just woke up. Steer clear of rap or anything with an unsettling or particularly loud beat. For the most part, you’ll know when your participants like your songs. Sometimes they’ll sway to the beat or start mouthing the words to themselves. When a good song comes on, you can feel the energy in the room as the class starts to push themselves harder. When you start teaching a class, try different genres of music to see how your class responds. Once you determine what your class likes, you’ll want to create playlists featuring a wide-range of genres and popularity, with an emphasis on their favorites. At the end of the day, you need to like the workout music you choose. The people in your class will feed off your energy and if you don’t love the song, they’ll notice. If you play a song and the participants start complaining about your song choice, Schwinn Master Instructor Shannon Fable recommends responding, “Ok, I absolutely love this song, so this one is for me. If you don’t like it, you can just shut your ears for three minutes.” That way, you can still play the songs you like and casually remind the folks in your class that you have to cater to a lot of different tastes, not just theirs. A great group exercise playlist successfully combines the preferences of you and your participants with the class environment. Once you have a sense of everyone’s music preferences, you’re well on your way to creating the best playlist for your audience. For more music ideas, visit the workout routines and playlists page.